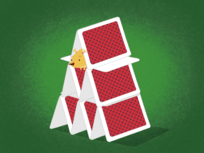 Can you roar like a dinosaur? 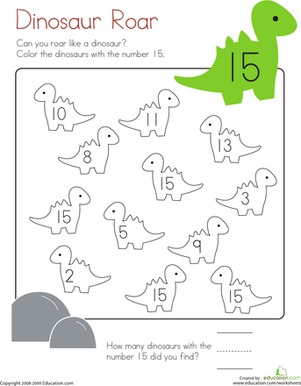 Kids completing this worksheet color and count dinosaurs with the number 15. 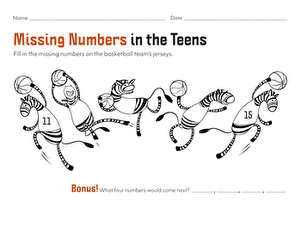 This worksheet offers practice recognizing and writing whole numbers and counting. 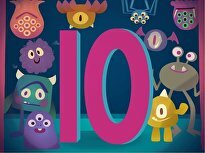 Get in two-digit number practice, while your kindergartener works on recognizing and writing the number 15. 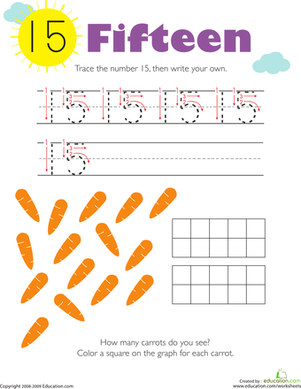 On this kindergarten math worksheet, kids trace the number 15, then write their own. 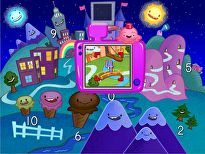 Then they count carrots and record the information in a graph. 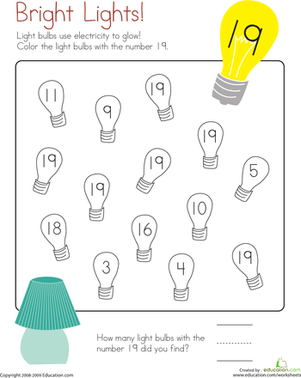 Your kid is bright, so he'll love the bright lights on this kindergarten math worksheet about the number 19. 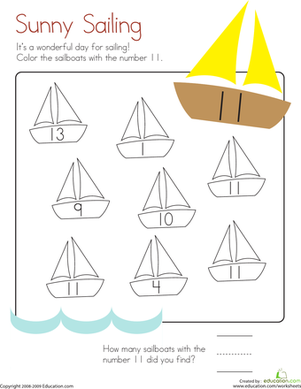 For this kindergarten math worksheet, kids color and count just the sailboats with the number 11. 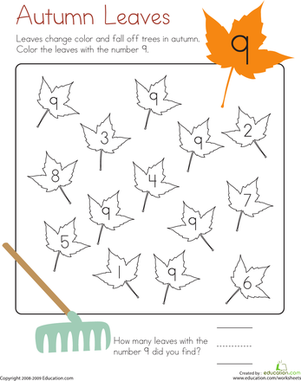 For this kindergarten math worksheet, kids color and count leaves with the number 9. 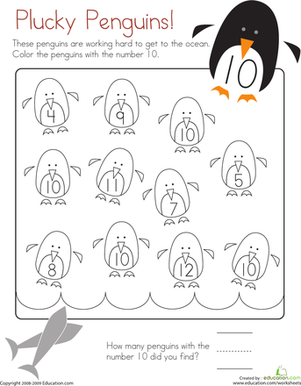 Kids completing this kindergarten math worksheet color and count penguins with the number 10. 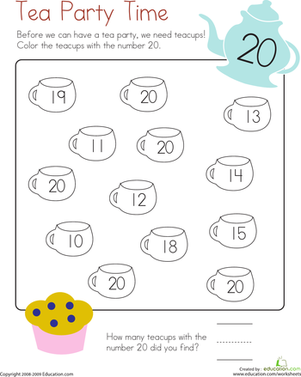 Kids color and count teacups with the number 20 on this kindergarten math worksheet, which offers practice recognizing and writing whole numbers and counting. 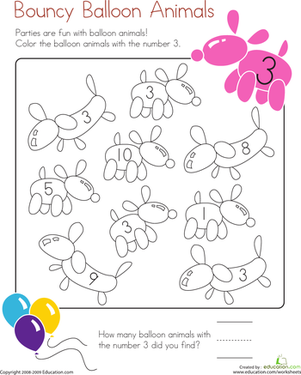 Kids completing this kindergarten math worksheet color and count ones with the number 3. 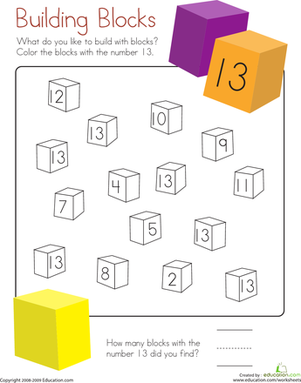 All of the blocks have numbers on this kindergarten math worksheet, but kids color and count just the blocks with the number 13. 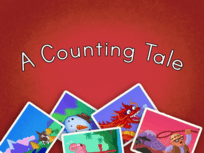 Help your child practice his counting skills with this printable kindergarten worksheet, which focuses on the numbers 11 through 15.